Every day, you’re getting bombarded by our Daily Connects. It’s hard to catch up, never mind keep on track. Today’s your Day of Grace. 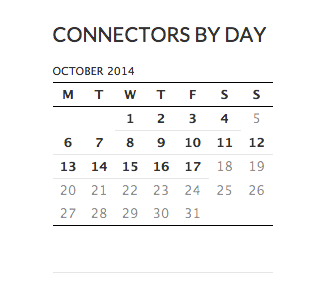 Spend a little time perusing the previous Daily Connect ideas (or just randomly pick and choose) and maybe try one out that intrigues you. Or ignore the site altogether. Make a connection, in whatever way it works for you today. And be sure to have a creative day.